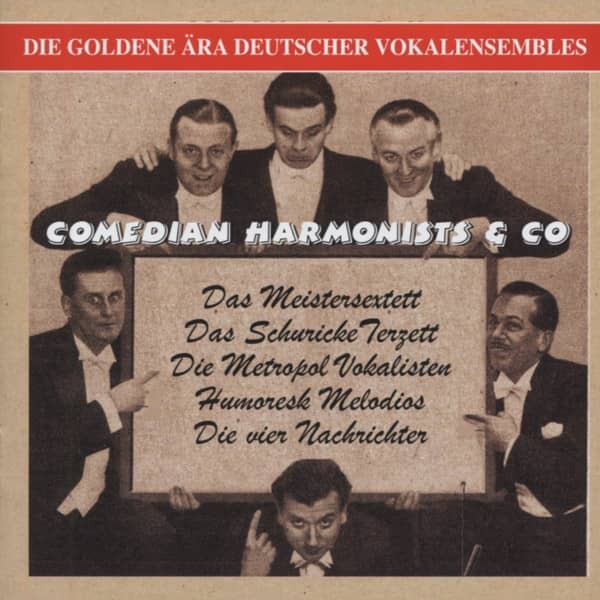 The 'master sextet', the follow-up group of the legendary Comedian Harmonists active in Germany until the beginning of World War II. They have all completed a classical vocal training, but somehow he did not succeed in making the big jump on the opera stages of the world. It had nothing to do with musical quality, rather with an oversupply of well-trained singers. No wonder? Even 70 and 80 years ago, the opera stages, even the smaller provincial theaters, upper fixed singer ensembles of a vocal quality, of which one can only dream today in many places on prestigious city theaters. Each city theater has its own 'Lohengrin', its own 'Wotan', and for the Mozart and Verdipartien just other colleagues were in solid commitment. The need for excellently trained voices was therefore quite present, but the chance of working up out of the gray mass was received only a few. 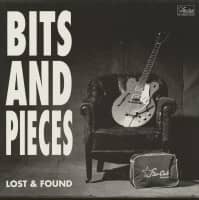 Another opportunity to find a job came from the mid-20s, when the newly formed radio stations began to build and hire their own vocal ensembles for regular broadcasting. Here, they deliberately focused on young, unused voices, as the celebrities among the established opera stars were always only available for individual guest appearances. And then there was the record industry, which came up with a technical sensation in 1926: electric microphone recordings instead of laborious and nerve-racking singing into a sheet-metal funnel. That was the time of musical sensations. 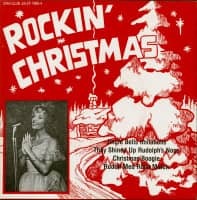 In the same year in Germany, the first records of the American 'Revellers' on the market and thus a completely new, unheard of unprecedented singing style. Within a short time, all of Germany is in the rebel fever. On December 29, 1927, one can read the following ad in the Berliner Lokalanzeiger: 'Achtung. Rare. Tenor, bass (professional singer, not over 25), very musically, beautiful voices, sought for only standing ensemble stating the daily available time ... 'Frommermann's ad is read: About 70 applicants are in the attic of the house Stubenrauchstrasse 47 in Berlin Friedenau in the coming days, the handle in the hand. 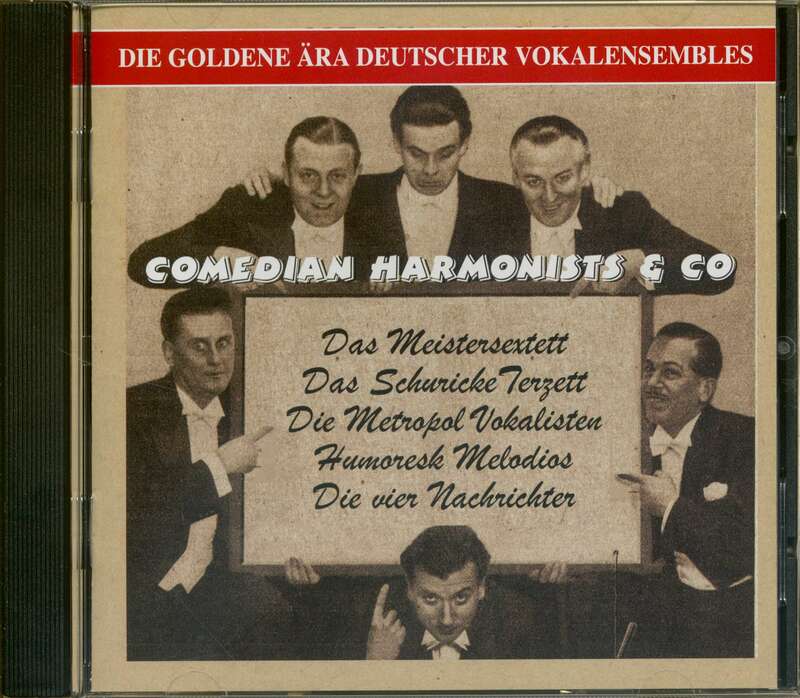 Out of them Frommermann 's' Ensemble comes together, and a good nine months later, the 'Comedian Harmonists' that name had meanwhile given itself the vocal quintet for the first time publicly perform. The rest is history ... The legendary reputation that the Comedian Harmonists deserve to enjoy until today, however, easily seduces to see the musical development of the vocal ensembles in the 20s in a somewhat one-sided light. Parallel to this most famous of all singing groups, the ensembles began to shoot up like mushrooms from 1928 onwards. Some exist only for a few years or even months, only to be absorbed into other formations. 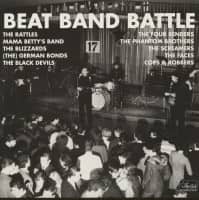 The demand of the record industry is great, and what was eventually planned as a stand-alone formation is often built by industry as potential competition to the Comedian Harmonists, who are exclusively under contract with the company 'Electrola'. For example, in 1928, before the first records of the Comedian Harmonists, recordings of a vocal quintet called 'The Abels' appear. 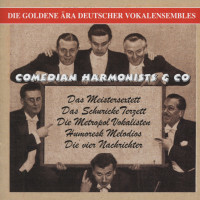 As a parody of the 'Revellers' created, brought the five Hungarian singers around the vocal professor Pal Abel a German -speaking repertoire, which was not unlike that of the Comedian Harmonists. 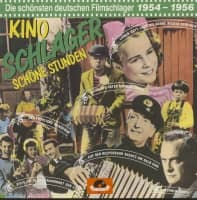 With the 'KardoschSängern', which emerged by detours from the 'Abels' earned from 1933, the singer Rudi Schuricke his first musical spurs. Schuricke moved in 1934. the 'SpreeRevellers', a foundation of the pianist Werner Doege. In 1937, the name 'Spree Revellers' due to the National Socialist. Forgiveness against any kind of anglicisms prohibited. 22 Hm-Hm, du bist so zauberhaft DVORSKY, R.A. 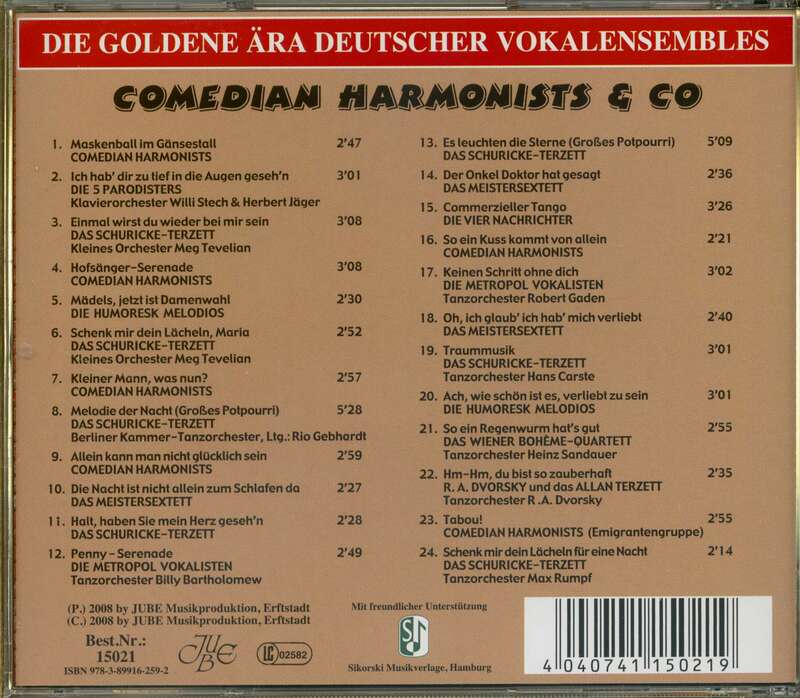 Customer evaluation for "Comedian Harmonists & Co - Die goldene Ära deutscher Vokalensembles (CD)"
07 Kleiner Mann, was nun?